Dave Burrows grew up in Toronto and began skating on the Pine Point Outdoor Arena in Etobicoke. Little did he know that his love of skating was an investment in his future. The only reason he started playing hockey was so that he could be with his friends. He quickly took to the game and pretended to be playing defense like his idol, the great Toronto Maple Leaf defenseman, Tim Horton. In 1963, he won his first Provincial Championship with the Bantam Newmarket Optimists. The Chicago Blackhawks scouted Burrows and in 1967 he was assigned to play with the Dixie Beehives. His solid defensive play earned him the Most Valuable Defenseman in the Metro Ir. B League and a selection to the Leagues First Team All-Stars. As a result, he was invited to the Chicago Blackhawks training camp. 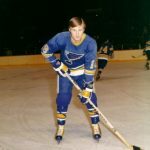 In 1968 he went on to play with the St. Catherines Blackhawks in the OHA. One year later he turned pro with the Dallas Blackhawks of the CHL and played with them for the next two years. In his first year with Dallas he was voted MVP and played for the Portland Buckaroos in the playoffs. 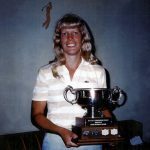 was named the Team’s Rookie of the Year. The Penguins were more than pleased with the always-wanting-to-learn attitude and desire of young and talented Burrows. “The most satisfaction I can get in a hockey game is breaking up plays before the opposing forwards can get a good shot on goal. I get a kick breaking up 3 on 1 or 2 on 1 situations,” Burrows was quoted on saying. 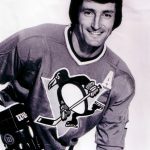 In 1974, his third year with Pittsburgh, he was selected the Team MVP and invited to play in his first NHL All-Star game. He played in two more All-Star games, 1976 and 1980. Burrows quickly established himself as one on the NHL’s best defensemen. He could skate faster backwards than most of the players could move forward and as such could stifle any one-on-one threats with exceptional efficiency. 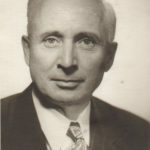 The Pittsburgh Press remarked, “You could always tell when Burrows was hurt for that’s the time when he hopped up the quickest and got right back into the play. Burrows pain threshold must be higher than his front porch. It takes a lot to get him excited, usually a couple of shots to the head.” He once played for six weeks with a broken foot. He was not a man to show emotion. He was quiet and efficient going about his business like a polite bulldozer. His style of play did not attract attention, it deserved respect. He was a fan favourite in Pittsburgh. In 1976 he was invited as part of an elite group of NHL stars to play for Canada in the Canada Cup. He made the team as a defensive replacement for Bobby Orr. Bobby was a standout earning MVP honours. Even though Burrows didn’t play he still considers it an honour to have been Bobby’s defensive replacement. 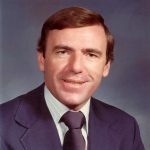 In 1978 Burrows was traded to the Toronto Maple Leafs where he continued to play his very solid defensive game for the next two-and-a-half years. 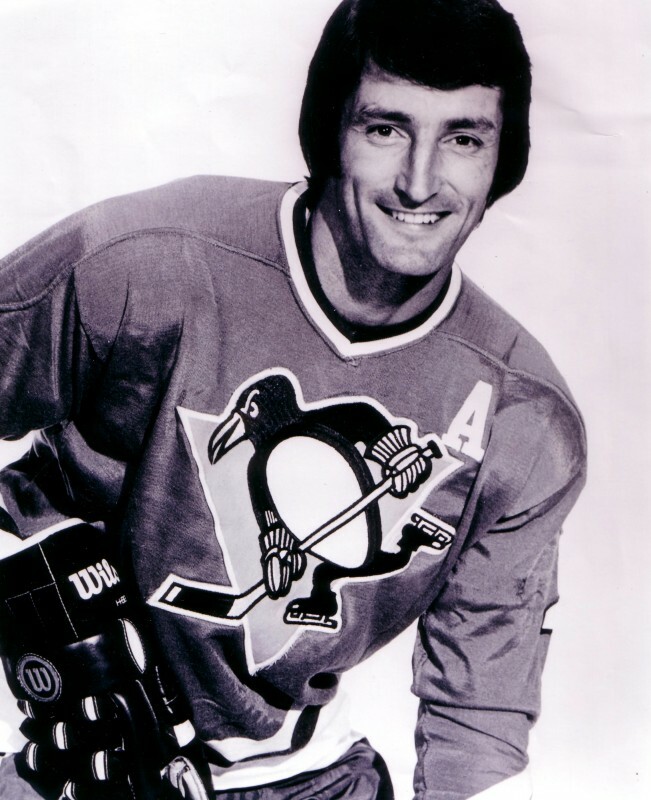 By 1980 he found that his love for the game was waning when he made a return trip to the Penguins, his final year in professional hockey. Burrows finished his distinguished career with 29 goals, 126 assists for 164 points and acquired 363 penalty minutes in 724 games spanning 10 consecutive seasons in the NHL. 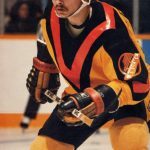 In 1981, at 32 years of age after having endured broken bones and many bruises resulting from his aggressive style of defensive play, he decided to retire from professional hockey on his terms. A decision he has never regretted. In 1996, the Pittsburgh Penguins paid tribute to Burrows and inducted him into the Pittsburgh Penguins Hall of Fame. Dave Burrows is a humble caring individual who enjoyed a remarkable professional hockey league career and richly deserves the honour of being inducted into the Bobby Orr Hall of Fame. Claimed by Pittsburgh from Chicago in Intra-League Draft, June 8, 1971. Traded to Toronto by Pittsburgh for Randy Carlyle and George Ferguson, June 14, 1978. Traded to Pittsburgh by Toronto with Paul Gardner for K. Davis and Paul Marshall, November 18, 1980.